Home | Lone Star Roofing & Construction Inc. Welcome to Lone Star Roofing & Construction Inc.
Lone Star Roofing & Construction Inc. offers a full range of general contracting services including commercial and residential home repair and maintenance. Most contractors only discover problems with your home or business . . . Lone Star Roofing & Construction Inc. will solve them! Lone Star Roofing & Construction Inc. is sure to help. Our certified team thoroughly inspects all residential and commercial projects and customizes a solution for the repair or replacement. Our team members are specially trained and certified to assist customers with damage due to hail and high winds. 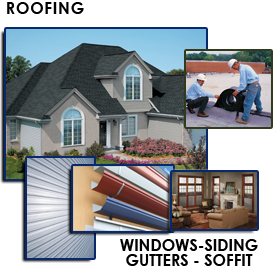 Lone Star Roofing & Construction Inc. is an industry leader among residential and commercial contractors. Home and business owners trust Lone Star Roofing & Construction Inc. to be their roofing & remodeling contractor. We guide our customers through the repair or replacement process by assisting with insurance claims and recovery and complete satisfaction is our goal.